Imagine being slaughtered by your enemies, to be thrown into a pete bog and then a couple of hundreds years later ending up on the internet. That was the destiny of a couple Dubliners that I met this last bank holiday weekend. I say met in the loosest possible sense. The bog bodies were lying behind glass cases in the National Archaeological Museum while I gazed on, a little bit fascinated by their whole being. To be fair, they weren’t even Dubliners having been found in Croghan Hill and Clonycavan. There were three bog bodies with skin, hair and slightly gruesome expressions from the Iron Age. Actually one of the bodies was just a torso and some arms. The merry trio were part of the Kingship and Sacrifice exhibition. Their skin was really leathery which was a good reminder to us all to remember to wear sunscreen. I suppose being over 2000 thousand years dead had more to do with the look than actual sunburn. 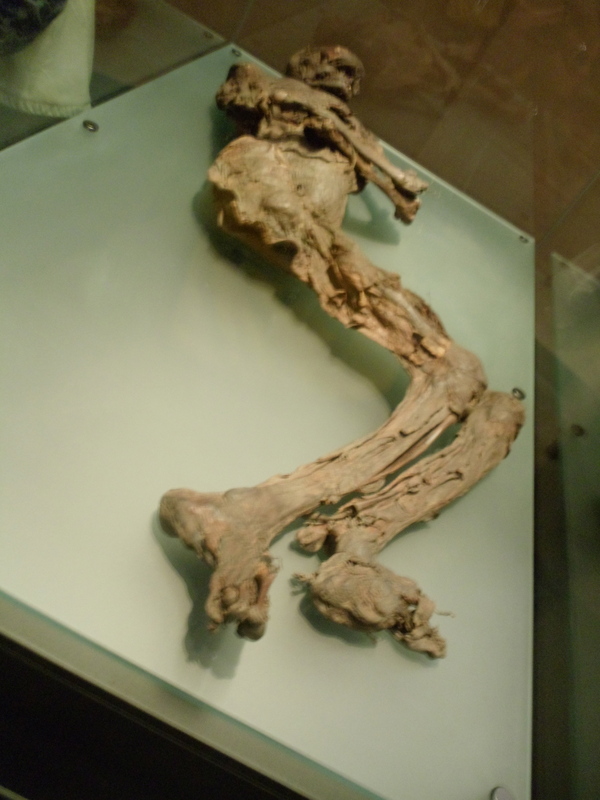 There were precise details about each of the bog bodies including ages, method of death and even diet. Scientists really do have it all figured out. There was no mention of chocolate or tea in any of the last meals which is a damn shame. It was a time before caffeine and sugar ruled diets. From this museum to the next which was the Natural History Museum “3 right turns and a total of 10 minutes walk away”, as helpfully described by a security guard. This place harks back to a different time when museums didn’t bother with fancy interactive stuff but instead displayed a menagerie of dead stuffed animals. 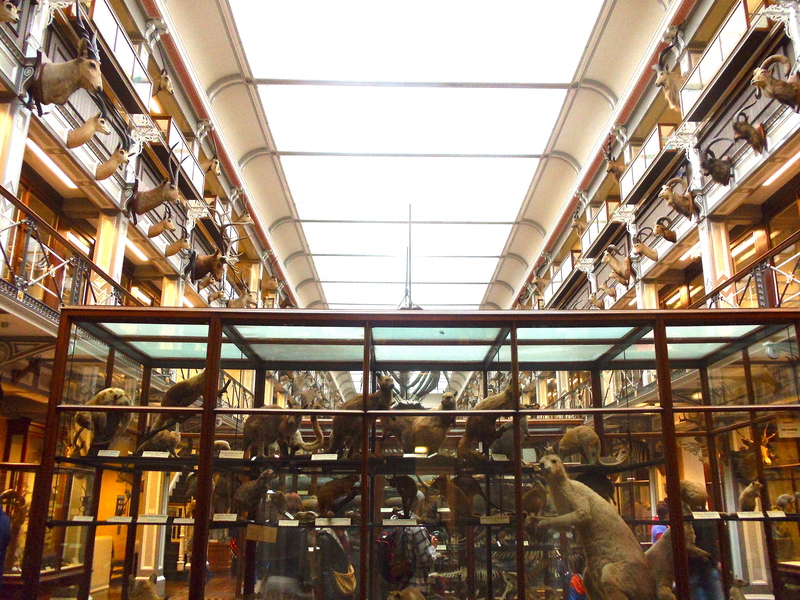 There’s 2 million specimens! That doesn’t include the visitors especially the happy children whose infectious excitement added to the whole experience. Being a semi-vegetarian I kind of did question the ethics of the whole thing but as entry was free it wasn’t like I was funding an evil organisation. Also all that killing and stuffing was done so many years ago that I felt alleviated of direct responsibility. I would recommend a visit to both the National Archeological Museum and the Natural History Museum as coming face-to-face with mortality does a have good way of putting things into perspective.